There was success for Trinity pupils at Monday's ISA National Tennis event at Queenswood School in Hertfordshire. Trinity sent a team of 4 players to compete in the event and the team accompanied by coach Mark Syms travelled by train to Hatfield on Sunday afternoon. There was excellent weather on Monday for the event with Emily Syms, Dan Mountford and Ander Elorriaga competing in the 15 and under events, and Victoria Syms in the 13 and under tournament. Emily, Dan and Victoria went unbeaten in the group stages to qualify for the quarter finals with Ander failing to get out of his group despite playing some good tennis. Dan and Victoria played some great tennis in reaching the final in their age group but came up just short with both losing in very close matches. Emily looked very strong throughout the event and with the loss of only one game during the day won the singles event and with it a National ISA title. 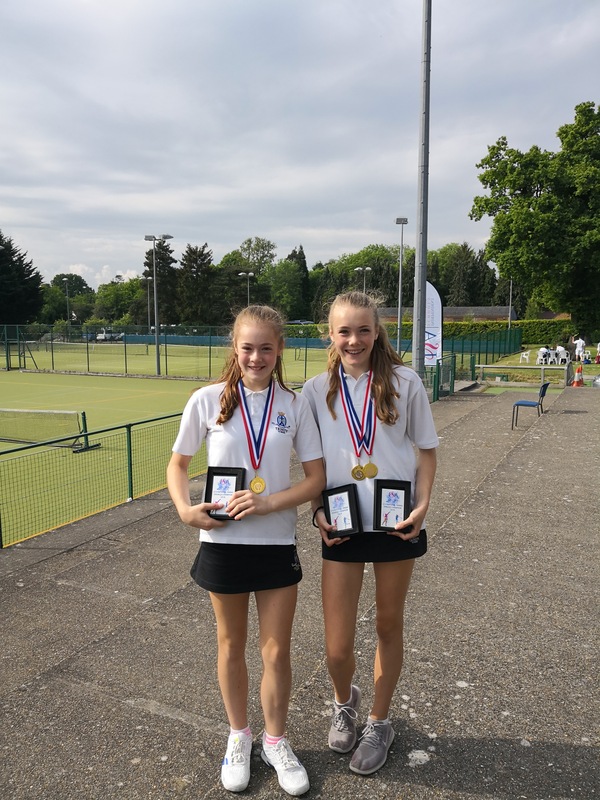 Emily wasn't finished there though as she teamed up with younger sister Victoria to win Trinity's second title of the day in the 15 and under doubles event. It was a very tired but happy group who arrived home late on Monday evening with 2 national titles and 2 runner up places. A very successful trip for the Trinity tennis players whose behaviour on and off the court was a credit to the school.